This Old Post Office Tree is 500 years old and is a main attraction in Mossel Bay in the Western Cape of South Africa. It has been declared a heritage site and there is still a post box at the site where visitors can post letters to their loved ones. These letters get a special flank to commemorate the importance of this Old Post Tree. 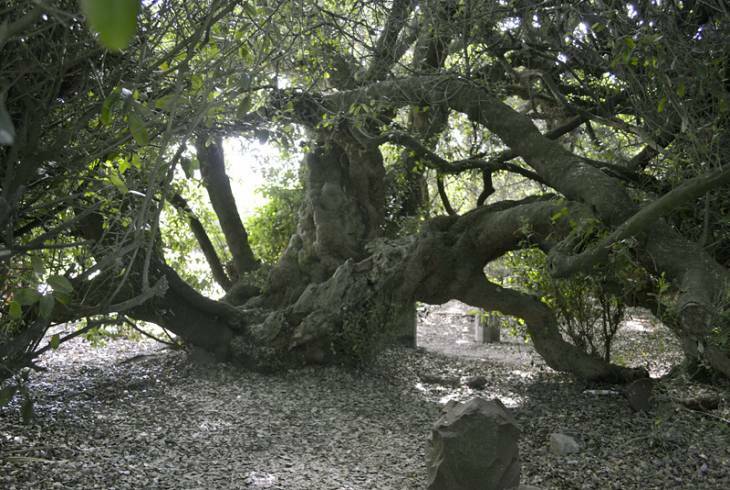 The Old Post Tree is a large milkwood tree which was used by sailors since 1500's. The sailors would put their letters in an old shoe and leave it under the tree or hang the shoe from the tree to ensure the safe delivery of their mail. This was considered to be the very first post office and was the start of our mailing system. Old Post Tree Information and Nearby Accommodation.